Sales taxes and shipping charges to US addresses included in prices. Please call 207-468-4690 for international shipping quotes. Exchanges accepted up to 30 days from purchase. Returns accepted up to 30 days from purchase - store credit will be given. No cash refunds. These are in various natural colors. 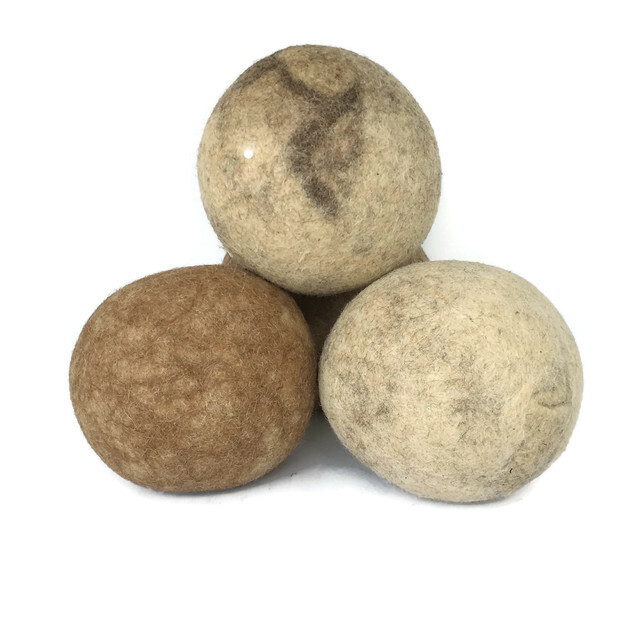 Each ball is approximately 3 oz and is solidly felted. Produced in the US by Natural Fiber Producers, an agricultural cooperative with a mission for helping small farms gain access to commercial processing and greater profitability. Give your feet extra comfort!